Tuesday Sunny. 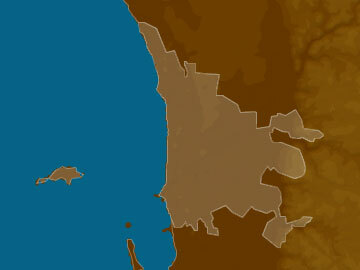 Possible smoke haze about northern and eastern suburbs during the morning. Light E winds becoming W/SW 15 to 25 km/h in the early afternoon then tending S/SE 10 to 15 km/h in the evening. Wednesday Sunny. Winds E/SE 15 to 20 km/h becoming light in the morning then becoming SE 15 to 20 km/h in the late afternoon. Thursday Sunny. Light winds becoming E 15 to 25 km/h during the morning. Friday Sunny. Winds E 25 to 35 km/h becoming light during the afternoon then becoming E 15 to 20 km/h during the evening. Saturday Sunny. Winds E 20 to 25 km/h turning NE 15 to 25 km/h during the morning.